The making of textures is more commonly associated with the visual and haptic fields than with sound. Not only do sounds have distinct textures that correspond to the mental image they create, but sounds also vastly differ when represented as physical waveforms. Each waveform evokes unique physical and emotional correlations, modulating and traversing through which reveals changes that are mesmerizing, intricate and subtle. Tonal Texture is an interactive audiovisual installation that explores the representation of sound waves through tangible, physical form. 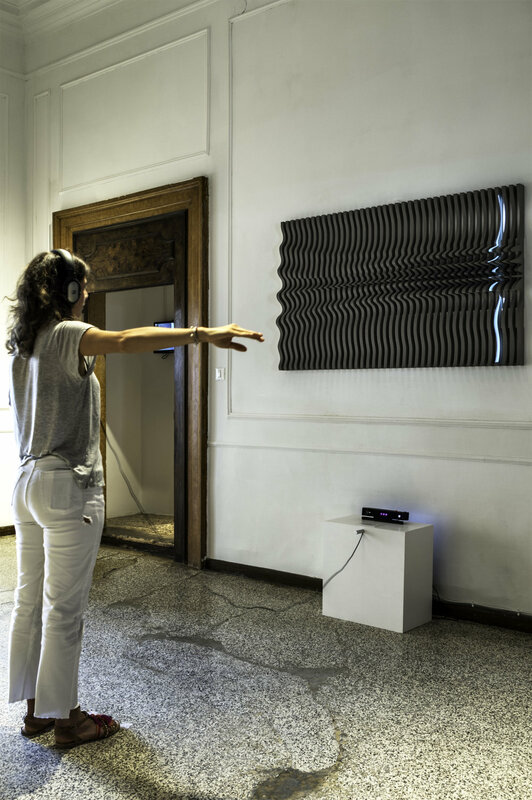 Inspired by the process of wavetable synthesis, this 3D architectural embodiment of interpolating waveforms is a real-time translation of sound modulation into form and light. It brings the emotional effect of sonic texture to light, allowing visitors to form an identifiable synesthetic connection.